Are you looking for a way to add interest to your Astronomy unit? Do you need more activities for your learning stations? 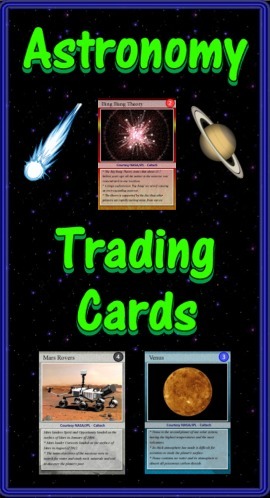 “Astronomy Trading Cards” is a set of 54 trading cards highlighting stars, planets, missions, and other astronomical objects. Print & laminate the cards to create a standard set of playing cards. "Educational Trading Card Games" details 3 original learning games. "Creating Educational Trading Cards" shows teachers and students how to make their own cards. As NASA astrobiologists search for life, some are creating computer models to see many different possible habitable planets. 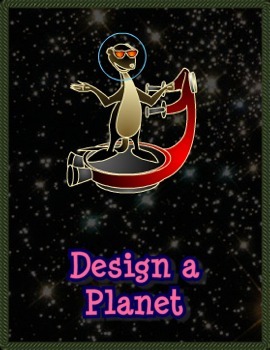 In this activity, you too can test out a computer simulation as you try to find a combination that would produce a planet habitable to humans. 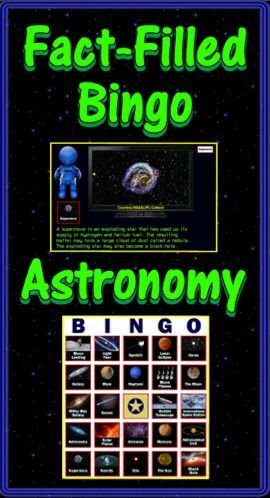 Fact-Filled Bingo is a computer program sure to bring excitement to your Astronomy unit. The talking robot calls out random objects/events/programs complete with pictures and interesting facts. 40 bingo cards are provided. Use the companion program Fact-Filled Slideshow and a SmartBoard/projector to highlight 48 different topics. Again the talking robot does the narrating. As a bonus I’ve included the manual “Text-to-Speech” which teaches you how to make your PowerPoints talk.